Makes 10 servings, about 2 Tbsp. dip and 10 WHEAT THINS each. Mix sour cream and salsa until blended. Refrigerate until ready to serve. 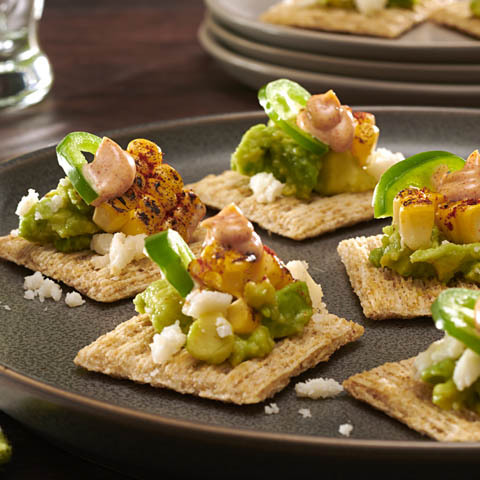 Place WHEAT THINS in single layer on 2 parchment-covered baking sheets; sprinkle with cheese, being careful to not mound cheese on centers of WHEAT THINS. Bake 10 to 12 min. or until golden brown. Cool completely. Serve with the sour cream mixture. SubstituteSubstitute 1/4 cup finely chopped jalapeño peppers for the sliced peppers. 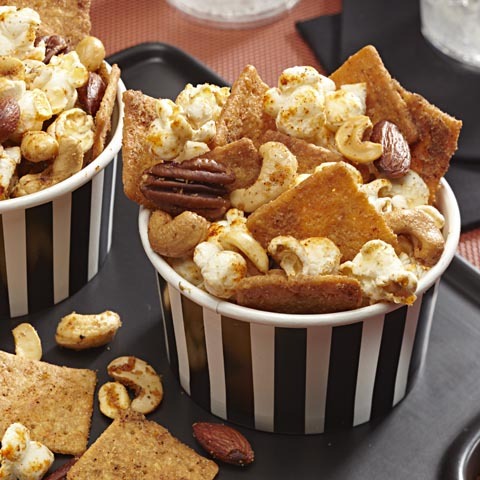 Make AheadThese tasty snacks can be baked ahead of time. Cool, then store in tightly covered container at room temperature up to 5 days. 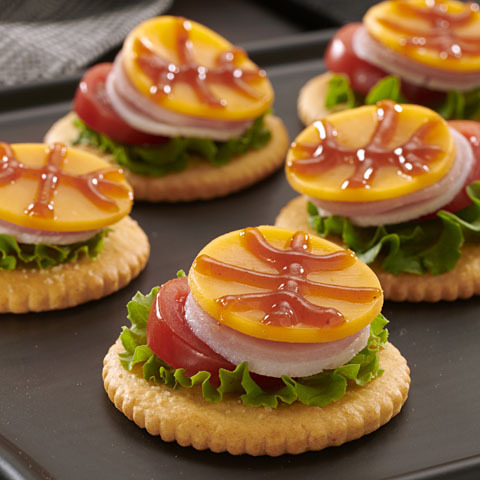 Prepare dip just before serving with the baked WHEAT THINS. 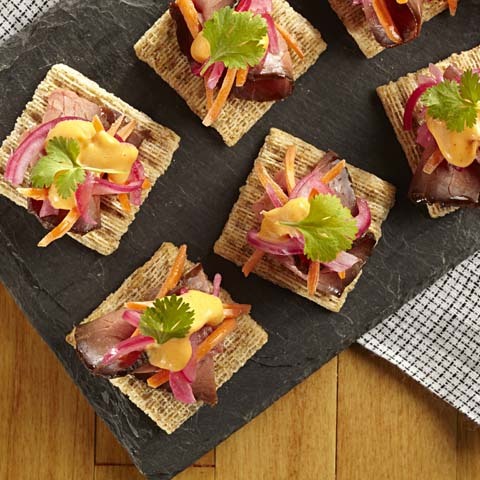 NOTE: If you want to "refresh" the topped WHEAT THINS before serving as directed, place them in a single layer on baking sheet. Bake in 350°F oven 3 to 5 min. or just until crisp. Make it EasyOmit sour cream and salsa. 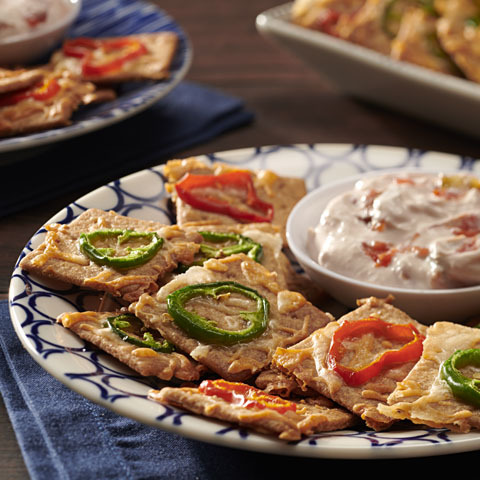 Serve the topped WHEAT THINS with your favorite party spread or dip.